There are great ambitions to be found in the Nordic region: “Sweden will be a world leader in exploiting the opportunities of digitalisation”. 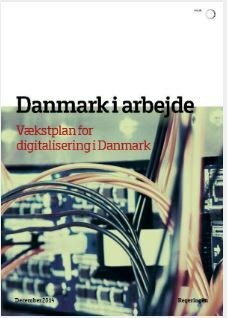 Danish businesses will be “among the best in Europe when it comes to using IT, Big Data and e-commerce to create growth”. 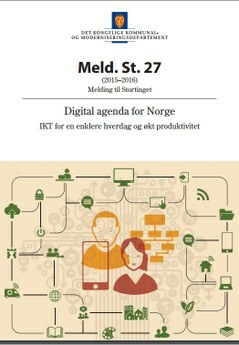 97 percent of Norwegians have access to the internet, Iceland is third in the world for information technology while the Finns’ digital skills are said to be the best in the EU. Despite the grand words, there is also a worry that the Nordic region is lagging behind countries like the USA and China. That is why all the Nordic countries have carried out or will carry out major digitalisation reviews. In English: Times change and we change with them. What drives that change more than anything is digitalisation, a term which also has Latin roots. Digitus means fingers or toes. We often count on our fingers, but they are also indispensable for all kinds of craft. Ironically few people think about digitalisation as meaning to work with your hands. Handicraft is rather undervalued in most future planning. Working with digits is to prepare for the future, and we should adapt to it. We cannot live from cutting each other’s hair, the saying goes. Still there are 22 000 hairdressers in Sweden. That is 16 times more than the number of people working at Statistics Sweden. The hairdressers turn over ten billion kronor (€1bn) a year – more than the Norwegian telecommunications company Telenor makes in Sweden, Oréal points out in a report. There are 21 000 active, certified masseurs in the Nordic countries. 2 500 new ones are trained every year in schools which are completely separate from the public education sector. People in Stockholm are said to be the most tattooed in the world. One third of Swedish 18 to 49 year olds have a tattoo. Every day 6 000 Swedes get some body art done. In changing times when we are forced to change with them, is it not safer to advise our sons and daughters to chose an occupation like that, rather than one which might be digitalised away? That is the wrong question to ask, however, because digitalisation is not mainly about introducing IT to businesses or robots taking over our jobs. It is about making use of the new digital ecosystem in order to satisfy customers or provide a better service for citizens. Digitalisation carries an equal amount of risk or opportunity for hairdressers, masseurs and tattoo artists to change their relationship to their customers, as it does for other providers of goods or services. 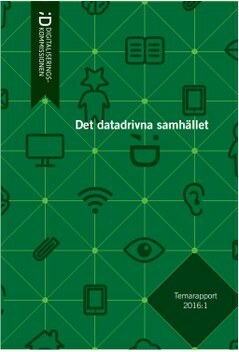 There are two words describing what is happening, points out Markus Bylund in the Swedish digitalisation commission’s report ‘The data-driven society’. Digitisation is the process of turning analogue signals into digital ones, like we have already seen when music from vinyl was turned into ones and zeroes on CDs, and later streamed online. Digitalisation is the changes to processes, organisation and systems which the use of digital technology contributes to. “Both of these terms contain both opportunities and limitations which frame what is possible to achieve with data-driven digitalisation,” writes Markus Bylund, whose day job is head of research at SICS Swedish ICT, a research institute for applied information and communication technology. Products or entire trades are still undergoing digitisation, the change from analogue to digital. Norway will be the first country in the world to turn off its analogue radio network. From 2017 only DAB radios will work. Electric cars have been described as computers on wheels and smartphones already replace tens of products like calculators, radio alarms, record players, cameras and so on. In 2000 all these would cost at least 6900 kronor (€700) in that year’s money. But digitalisation, which is about processes, organisation and systems, can happen at least as rapidly. We have already seen how the taxi trade is being challenged by Uber, which works as a middleman linking customers with private drivers, or Airbnb which similarly links people looking for a place to stay and private individuals who want to rent out their house for short periods of time, making them competitors to the hotel trade. Private individuals would of course not be able to be taxi drivers without digital maps being accessible online, with special apps like Google Map which shows how to get from one place to another. For Airbnb it is more about the company working as the agent creating the trust which guarantees pleased customers and owners who get paid. hair has been treated. This allows them to recreate the hairstyle themselves, or they can show it to their local and cheaper hairdresser. But the disruptive changes come when someone invents a new way of organising a business. 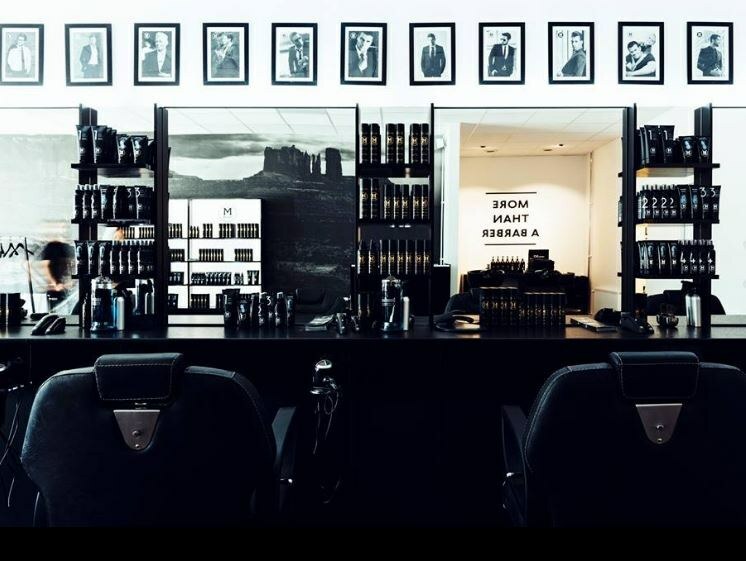 Sticking with hairdressers – Finnish M Room has quickly become Europe’s largest hairdressing chain for men, with 60 salons in Finland and a rapid expansion into foreign markets. The customers are being offered a membership where an annual fee includes unlimited haircuts in any of the chain’s salons. The membership guarantees barber, shaving and colouring services without the need to book ahead. Using an app or the home page, customers can see how many people are in the queue. At the same time, they build customer loyalty which makes it possible to sell hair products via e-commerce. M Room deals exclusively with men. The salons all look the same, and there is no sign whatsoever of magazines for women. There are dart boards, however. Linking a demand with customers by using the internet, smartphones and underused resources is often called the platform economy. The German company Foodora was founded in 2014 and offers home delivery of restaurant food using bikes. The company has seen explosive growth. It is now present in ten countries, including Finland, Norway and Sweden. One of Foodora's 270 bikers in Oslo, where 150 restaurants have signed up. 5 000 restaurants have singed an agreement with Foodora, which guarantees the customers food within 35 minutes for a set fee. The company doubled its earnings every second month in the past 12 months, during which time more than 750 bikers delivered four million meals. That way many non-skill jobs were created – in this case the bikers don’t work with their hands as much as with their feet. We see the emergence of an increasingly complex ecosystem of technological solutions within everything from transport to health and smart cities. Today this is sometimes a problem. Stockholm County Council alone reckons it has 1 600 different systems, writes Darja Isaksson, a member of the Prime Minister’s innovation council. “When these do not function well together, it damages both the working environment and efficiency. At the same time the opposite solution – few but gigantic systems – would be more of an innovation dampening dystopia than something to hanker after. It should actually be easer and cheaper to complement or replace digital solutions with others,” she points out. The infrastructure can still be better developed. Not even Denmark, which is small and flat, thinks it has sufficiently expanded its broadband services. The government’s goal is to have all households and businesses linked up to broadband with speeds of at least 100 Mbit/s download and 30 Mbit/s upload no later than 2020. 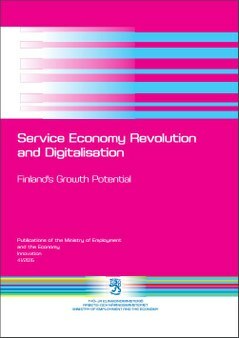 But that kind of concrete goal is rare when looking at the state’s role in digitalisation. To avoid bottlenecks you must of course make sure to train enough computer programmers and other important staff who are important for the digitalisation process. But the enormous amounts of data now being gathered, which makes it possible to measure not just what people say they want to do, but what they actually do do, also means there will be a lack of people with science, technology, engineering and mathematics skills, with a particular lack of statisticians and mathematicians. Mapping how anonymous commuters with GPS-equipped mobile telephones behave can improve commuting traffic and provide algorithms which can be compared to historical data so that we can predict how traffic jams develop. You need standardisation, making it easier to share information between different systems, but you also need clear rules for how information can be gathered and used. “Do we accept that we will pay higher insurance premiums if our food purchasing history links us to a profile of someone with a higher risk of falling ill? That we don’t get a job interview because the computer has found out that our profile indicates a higher risk of sick leave?” asks Erik Lakomaa, a researcher at the Stockholm School of Economics in his chapter. Perhaps researchers studying digitalisation must also use unconventional methods? The Norwegian Ministry of Labour has asked the Norwegian research foundation Fafo to study the sharing economy. They ask all visitors to their website to come up with an example of new businesses within the sharing economy. Already there are around 50 listed. Click on each country's report to read it.